PREMIERSHIP captain Shannon Hurn (DEF, $645,000) is viewed by AFL Fantasy coaches as a source of some extra points this year. The new kick-in rule should see a boost in numbers for Hurn, who took the second-most kick-ins for the competition in 2018. Champion Data will record a stat for all kicks taken outside of the square and Hurn is likely to take advantage of this. Not only will he gain some extra distance on his kick-in by leaving the square, he will also add some bonus +3s to build on his career-high average of 88.9 from last year. 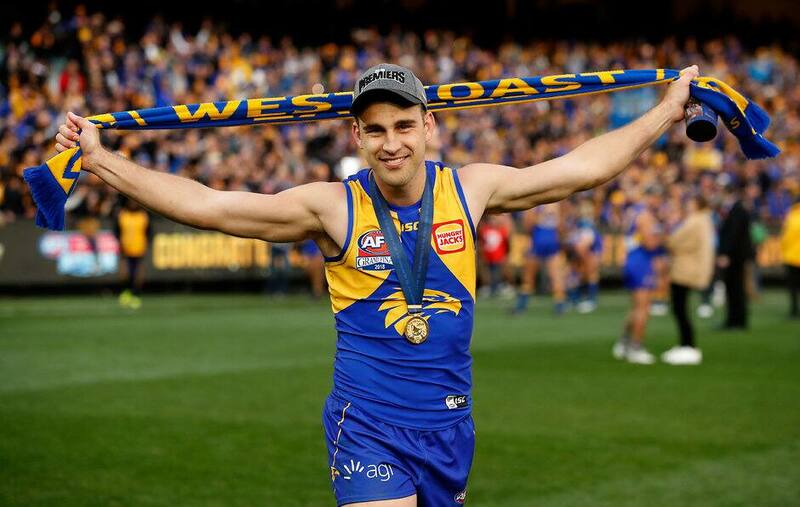 The highest-averaging Eagle was Andrew Gaff (MID, $803,000) who also produced career-best figures in 2018. Gaff is suspended for the first two rounds but should be on your radar to pick up as an upgrade target after West Coast’s round 13 bye. Quite often Fantasy coaches write off a player because they no longer have dual-position status. Don’t let the lack of DPP status sway you away from Elliot Yeo (MID, $775,000). The community has had a love/hate relationship with the Yeo-Yeo. As his nickname suggests, his scores have been sporadic over the years. One week he could score a ton, the next a 40 before cracking triple figures again. Yeo averaged an impressive 106.7, making him a must-have defender last season. With only one score last year that frustrated coaches, 46 against Geelong in round three due to playing a defensive role in the backline, Yeo finished the year in cracking form. The 25-year-old averaged 116 after the bye, which ranked him third for points overall in that time. Consider Luke Shuey (MID, $634,000) and Jack Redden (MID, $698,000) as under-priced midfielders. Shuey could be a Draft sleeper coming off a season average of 87.3. In the two years prior, he averaged 99 and it is likely the Norm Smith medallist will be keen to return those figures once again. Redden was a Fantasy gun back in his Lions days but hadn’t shown that form as an Eagle until last year. He warmed into the season, gradually rising in price until he hit form in the back-half of the year. Redden pumped out some monsters in the last seven rounds, including 143, 135 and 133 to reward the coaches who took a punt on the mid-priced improver. Josh Smith (FWD, $444,000) made the move west from Collingwood in the NAB AFL Trade Period. After playing round one, a hamstring injury kept him out of the senior side and he couldn’t break into the team on return. Smith is priced equivalent to a 61 average, making him under-priced when comparing to his form of the years prior. In 2017 he averaged 81.6. The 25-year-old won the Eagles’ pre and post-Christmas 2km time trials and outlasted his new teammates in last week’s Yo-Yo test. While not first year players, it is worth keeping an eye on Hamish Brayshaw (MID, $170,000) and Francis Watson (DEF, $170,000) as they are yet to debut and at basement price. Brayshaw averaged 75 points from his seven games in the WAFL following knee issues early in the season. Turning 21 ahead of the season, the midfielder may be in the mix for games at some point during the season. Hailing from the Kimberley, Watson has shown some solid form in the reserves was knocking on the door for selection last season. The mature-age defender has averaged 73 points in the past two seasons for East Perth and may make his AFL debut this year. A potential bargain this season could be Josh J. Kennedy (FWD, $473,000). The key forward had an injury-interrupted season, keeping him to just 14 games. Kennedy’s average of 65.1 was his lowest since 2012 and a long way behind the mid-80s most Fantasy coaches bank from him. Kennedy could be a handy stepping stone in the forward line in Fantasy Classic and a Draft slider if other coaches in the League don’t tap into his likely output on draft day. One of the catchcries of the summer is ‘more midfield time’. Fantasy coaches’ ears prick up and straight away start thinking about a player breaking out and increasing their Fantasy scoring. Willie Rioli (FWD, $391,000) is leaner and fitter than this time last year and hopes to move into the midfield after playing the majority of his debut AFL season in the attacking 50. The 23-year-old averaged 53.8 from his 21 games, scoring more than 70 just three times. While he should improve his average in his sophomore year, it is unlikely Rioli will post the numbers required or make enough money to justify being a stepping stone to a premium player in your forward line. Get expert advice from The Traders during the pre-season in the Fantasy Hub. Follow AFL Fantasy on Twitter and 'like' the Facebook page to join in the conversation.